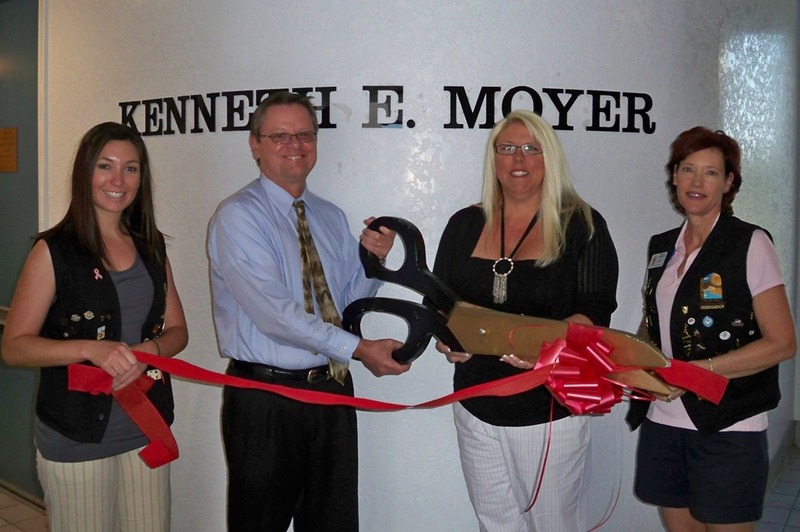 Kenneth Moyer recently opened his own firm, Law Offices of Kenneth Moyer at 1845 McCulloch Blvd., Suite A-10. The firm opened March 1, 2011 and handles bankruptcy, personal injury, business and commercial matters and is open Monday through Thursday 9am to 5pm and Fridays from 9am to 4pm. The Lake Havasu Area Chamber Ambassadors held a ribbon cutting for the Law Offices of Kenneth Moyer and on hand for the ceremony was: Crystal Alger, Kenneth Moyer, Tamie Larsen and Nancy Leamons. Contact Kenneth Moyer by calling 505-4906.